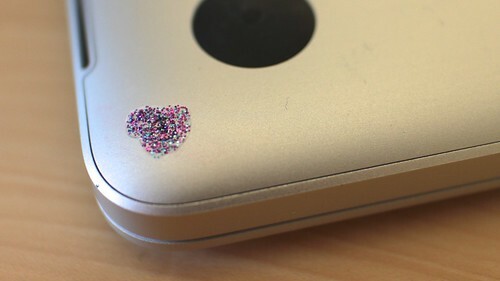 One way to detect physical intrusion attempts on your mobile device is to use nail polish like Fuzzy Coat as a tamper-evident marker on the screws. This was suggested by Eric Michaud and Ryan Lackey at 30C3 and my laptops have had this cheap protection applied prior to going to 31C3. Be sure to take good closeup photos once it has dried so that you can do "blink tests" to verify if the random pattern has changed. 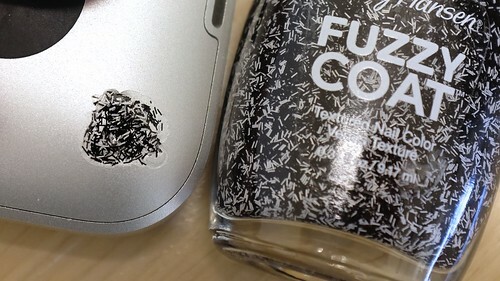 Normal glitter polish works as well, although the features are smaller and have lower contrast than the Fuzzy Coat shown above. You can do your nails with it, too, and look fabulous while you're coding. This page was last edited on 21 December 2014, at 16:40.